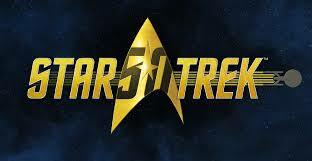 In 1964, Gene Roddenberry produced a pilot for a science fiction series called Star Trek. Titled “The Cage” and featuring Jeffrey Hunter in the lead role as Captain Christopher Pike, it was ultimately rejected by executives at television network NBC who felt it was ‘too cerebral’. However, they saw potential in the premise of Star Trek and in an unprecedented move (and reportedly under the persuasion of Lucille Ball, star of I Love Lucy and co-owner of production studio, Desilu), commissioned a second pilot. Written by Samuel A. Peeples, who had previously worked on series such as Wanted: Dead or Alive and Burke’s Law, “Where No Man Has Gone Before” would take an imaginative science fiction concept, in this case extra sensory perception (ESP) and explore the moral consequences of individuals being imbued with god-like powers that, on the wrong side of human ego, could prove corruptive and dangerous. Ironically, still a cerebral idea but one that would incorporate some measure of action and excitement to satisfy the demands of TV bosses, all too aware of the popularity of western and detective series where audiences had come to expect a bare knuckle fist fight or two. Peeples’ script works extremely well and whilst later episodes of Star Trek are better examples of those morality plays that would become a significant part of the series’ DNA, it gives the audience a science fiction story that’s treated intelligently, laced with personal and ethical conflict as well as that aforementioned element of action and adventure. The only surviving cast member from “The Cage” is Leonard Nimoy, who returns as a far less emotional and much more intellectual Mr. Spock. At this point, the character is a work in progress as Nimoy seeks to find the right level of cold logic and define the subtle nuances of the Spock viewers would come to know. No easy task given the changes in the character’s portrayal from the original pilot and a few quirks aside, Nimoy does a commendable job of laying the groundwork for the infamous Vulcan science officer. Replacing Jeffrey Hunter is Canadian actor William Shatner as Captain James (no “T” just yet) Kirk and in contrast to Nimoy’s Spock, Shatner hits the ground running and is very much the familiar starship captain from the get-go with a passionate and driven performance as Kirk is torn between the responsibilities to ship and crew and his friendship with Gary Mitchell, who Spock warns is becoming an increasing danger as his latent powers grow. Mitchell is played by Gary Lockwood, star of Roddenberry’s short-lived military drama The Lieutenant (and would go on to appear in Stanley Kubrick’s 2001: A Space Odyssey) who shares good chemistry with Shatner and fellow guest star Sally Kellerman (later earning an Oscar nomination for M*A*S*H), in the role of Dr. Elizabeth Dehner – another strong female character in the vein of Majel Barrett’s ‘Number One’ in “The Cage” – who’s high ESP rating would also lead to the awakening of omnipotence. Whilst Mitchell reaches the ‘point of no return’ (Lockwood’s performance becoming more and more menacing), it’s Dehner who begins to question these new abilities and their corruptive influence over the more rational sides of human nature. Missing from the familiar ensemble of Star Trek’s first season are Nichelle Nichols’ communications officer Lt. Uhura and DeForest Kelley’s chief medical officer, Dr. Leonard “Bones” McCoy (a role temporarily filled here by Paul Fix’s Dr. Piper) and whilst James Doohan is in place as chief engineer Scott, George Takei’s Sulu is absent from the Enterprise helm instead forming part of the ship’s scientific group. Strangely, NBC decided to commence airing Star Trek with “The Man Trap” on 8th September 1966 with “Where No Man Has Gone Before” going out on 22nd September. Given noticeable differences in casting and even some of the set design and costumes (with the slightly more drab crew uniforms being recycled from “The Cage”), this must have been jarring for even the least attentive of viewers at the time? In the end, “Where No Man Has Gone Before” succeeds as a rough template for Star Trek, where it demonstrates the indomitable nature of the human spirit against the backdrop of an entertaining and imaginative SF story. Geek fact! Samuel A. Peeples would also pen the first episode of the Star Trek animated series, “Beyond the Farthest Star”. 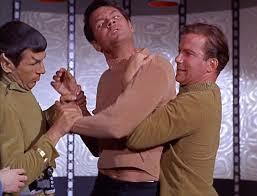 Kirk (William Shatner) and Spock (Leonard Nimoy) attempt to restrain an increasingly dangerous and exponentionally powerful Gary Mitchell (Gary Lockwood) in Star Trek’s second pilot, “Where No Man Has Gone Before”. Featuring: Leonard Nimoy, Adam Nimoy, William Shatner, George Takei, Nichelle Nichols, Walter Koenig, Nicholas Meyer, J.J. Abrams, Zachary Quinto, Chris Pine, Simon Pegg. Declared as the most successful Kickstarter campaign ever, Adam Nimoy’s celebration of his father Leonard’s career and most significantly the creation of the iconic Star Trek character, Mr. Spock, arrives just in time for the franchise’s 50th anniversary. Enlisting the thoughts and opinions of family, friends, colleagues and fans (celebrity and none), For the Love of Spock is affectionate, funny (including some brief pondering of that hilarious and infamous Kirk/Spock ‘slash fiction’ with Leonard’s Star Trek co-star George Takei), candid and even, in moments, a little tear-jerking. Via the guidance of Adam Nimoy, For the Love of Spock digs deep to explore the man behind Spock and how he ultimately created and refined the character who is beloved by millions all over the world. Incorporating archive footage of Leonard (who passed away last year) and newly recorded interviews with the likes of fellow Star Trek stars William Shatner, George Takei, Nichelle Nichols and Walter Koenig along with the principle cast of the reboot film series, directors Nicholas Meyer and J.J. Abrams, scientist Neil deGrasse Tyson, The Big Bang Theory star Jim Parsons and Leonard’s daughter, Julie the documentary is insightful in its dissection of the cultural impact of Spock and why a fictional character would mean so much to so many (its perhaps J.J. Abrams who encapsulates it so perfectly as he talks about the outsider in all of us). For the Love of Spock is also a very personal endeavour for Adam Nimoy as he discusses, quite honestly, the often strained relationship he had with his father and the effect that fame had on the young Nimoy family. It’s to the benefit of the project that Nimoy is open about this and is not reticent to attribute how issues in his own life contributed to the schism between father and son and is ultimately triumphant in celebrating their reconciliation in the years before Leonard’s death. Technically, For the Love of Spock is well-structured and deftly assembled with clips from the original Star Trek series and spin-off films interspersed neatly between the various interview segments and archive footage – including a treasure trove of family home movies. There’s not a great deal that’s new for die-hard Star Trek fans but ultimately, Adam Nimoy delivers an unmissable celebration of a man and his legacy. The bottom line: For the Love of Spock is a fitting tribute to the late Leonard Nimoy that’s lovingly crafted and an essential insight into an important cultural icon. For the Love of Spock is available to download/stream now via iTunes, Amazon and a host of other video on demand platforms. 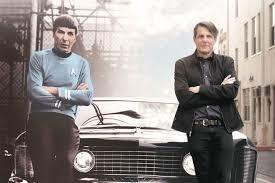 Man and icon: Adam Nimoy’s ‘For the Love of Spock’ is a fitting tribute to his father and the legacy of Mr. Spock. Space…the final frontier…on this day, fifty years ago one of the most important science fiction franchises was born when Star Trek appeared on television screens for the first time as classic episode “The Man Trap” (written by the late George Clayton Johnson) aired. The brainchild of Gene Roddenberry, a former World War II pilot turned television writer, Star Trek was pitched as a sort of Wagon Train (a popular western series at the time) of the stars. That the series came into being at all is no small miracle, its original pilot episode (entitled “The Cage”, with The Searchers’ Jeffrey Hunter in the lead role as Captain Christopher Pike and which, some convention screenings aside, remained unseen until its home video release some years later) was rejected by television network NBC on the grounds that it was ‘too cerebral’. Yet executives saw potential in Roddenberry’s imaginative concept and commissioned a second pilot which with an almost complete change of cast (Leonard Nimoy’s Spock would be the only crewmember to transition from the original pilot) and the addition of more action and adventure elements would lead to Star Trek being given the greenlight. Beneath the surface, Star Trek proved more than just a straightforward science fiction adventure series and Roddenberry utilised the format to tell stories that were essentially morality plays wherein the multicultural crew of the starship Enterprise would travel from planet to planet and face issues that paralleled social and political concerns of the turbulent 1960s. Whilst network sensors at the time remained largely unaware that Roddenberry and Star Trek’s various other writers were commenting on issues ranging from civil rights to the Vietnam War, its core audience fully latched on to it and although the series was ultimately cancelled after three seasons, syndicated reruns saw its popularity surge as a passionate fan base grew and grew. Five decades on, Star Trek is a global phenomenon having spawned six television series (with the seventh, Star Trek: Discovery set to launch next year) and thirteen feature films as well as a plethora of merchandising including books, comics and video games and is beloved by generations of fans the world over, compelled by its rich mix of engaging, diverse characters and thought provoking tales that explore the human condition. At the root of it all is the franchise’s greatest appeal – an optimistic and inclusive vision of humanity’s future where everyone, whether they be man or woman, black or white, of one faith or another can work together in peace in the spirit of Gene Roddenberry’s belief that humanity’s strength lies in its diversity, something that is not a hindrance or to be fought over but will allow us to achieve great things. So, let’s raise a glass of Romulan ale in celebration of fifty years of Star Trek…and to many more adventures ahead! 50 years on and ‘Star Trek’ continues to endure, Gene Roddenberry’s optimistic vision of the future forever capturing the hearts and minds of millions the world over.